I’ve now had the pleasure of testing two of Cassie’s patterns for Little Lizard King. Cassie is great to work with – not only is she creative (as evidenced by the 10 options in this pattern), but she’s patient and quick to make adjustments as testers get back to her. That last quality is so important in a designer! If you’ve got two or three people testing a size and the first one out of the gate finds a fit problem, if the designer is quick to make adjustments, those changes can be tested by those who aren’t as far a long. The fit on the Perfect Ten top is spot on. I used the measurement chart and my daughter falls squarely in a size 4 even though she is transitioning to 5’s in store-bought. It fits her like it was made for her! The nice thing, though, is that I could easily make her a 5 and she would not be swimming in it if I wanted a bit longer wear for her. 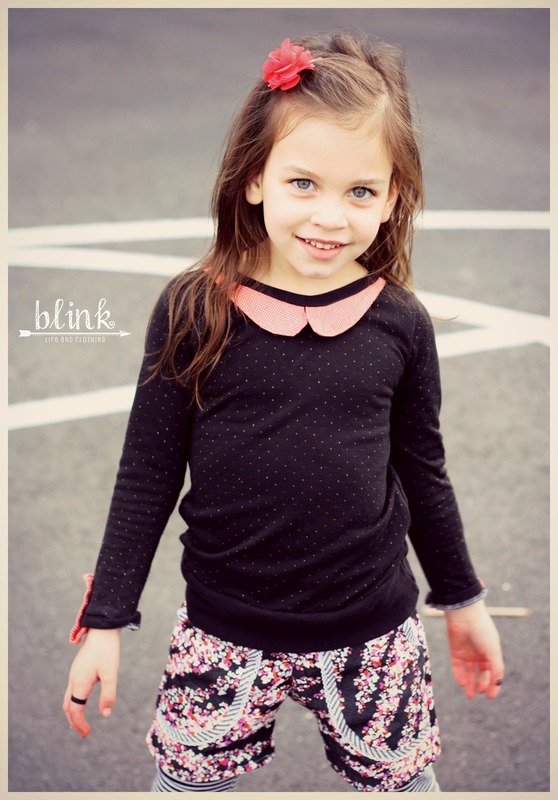 We paired our Perfect Ten top with the Kid Shorts by Made. My daughter NEVER asks to wear anything but skirts or a dress, so when she recently asked for a pair of shorts to wear over leggings I jumped all over making her a pair! 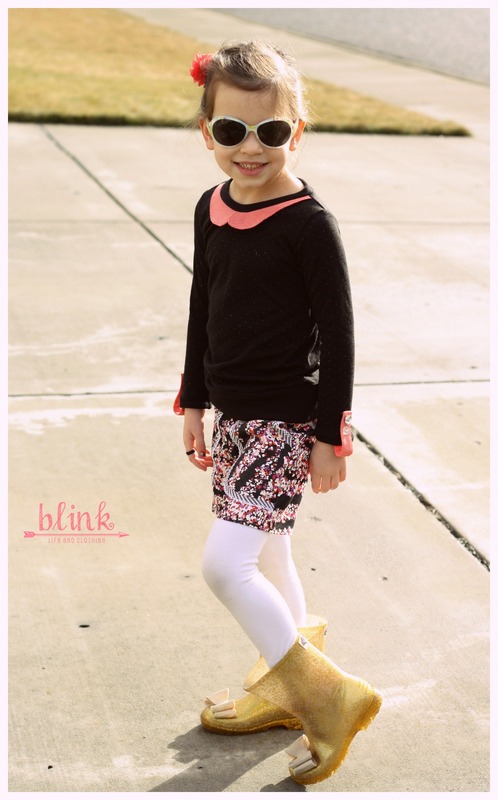 The Perfect Ten is definitely a top that is a “need” – its versatility and size range (12 mos – girls 14) make it a very economical pattern. Head over to Little Lizard King to purchase your copy of the Perfect Ten.